If you are looking for a safe, effective, non-surgical option for feminine rejuvenation. Urologic Specialists is pleased to offer the advanced technology of Votiva. 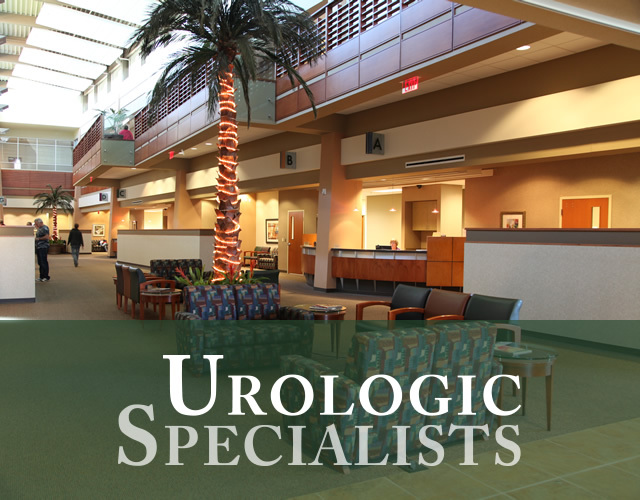 With 21 board-certified urologists, Urologic Specialists is capable of caring for all your urology needs. Our urologists are pioneers in the latest robotic and laparoscopic surgery techniques. Our pediatric urologists are trained to focus on the special needs of children and their parents. Urologic Specialists is proud to be the region’s largest urology practice. We are uniquely capable of caring for patients with all kinds of urology issues. Our 21 board-certified urologists include a number of subspecialists with additional training in urologic cancers, kidney transplantation, kidney stone disease, pediatric urology, female pelvic medicine and incontinence and male sexual health issues. When you’re a patient at Urologic Specialists, you don’t have just one doctor. You have an elite team of specialists coordinating your care and leveraging their strengths to give you the best outcome. It’s the power of the practice. Urologic Specialists values the doctor-patient relationship and recognizes the importance of earning your trust by delivering competent and quality patient care. Patients and family members are encouraged to ask questions about our diagnostic and treatment methods. Our nurses and medical staff are fully trained and qualified to assist in your care. Whatever your medical need, we are committed to your good health and quality of life. Messages and requests sent to your doctor’s office are NOT monitored 24/7. If you are experiencing a medical emergency, you should call 911 immediately. If you are looking for a safe, effective, non-surgical option for feminine rejuvenation. We are pleased to offer the advanced technology of Votiva. We are your trusted local professionals. Our highly experience physicians perform more than 1,200 vasectomies a year. Urologic Specialists is a group of physicians specializing in comprehensive state-of-the-art medical and surgical care to patients. As part of the this care we offer diagnostic and therapeutic services including radiology services (ACR certified), laboratory testing, and urodynamic testing. Our urologists are extensively trained and experienced surgeons who utilize the latest technology to deliver World Class patient care. Our surgeons are pioneers in robotic surgery performing the area’s first robotic prostatectomy in 2005. Since then we’ve continued to be on the "cutting edge" of minimally invasive surgery. Our surgeons performed the first robotic partial nephrectomy (removal of a cancerous tumor from the kidney) in 2009 and the first robotic cystectomy (removal of the bladder) in 2010. USO physicians typically perform 10-14 robotic surgeries each week.